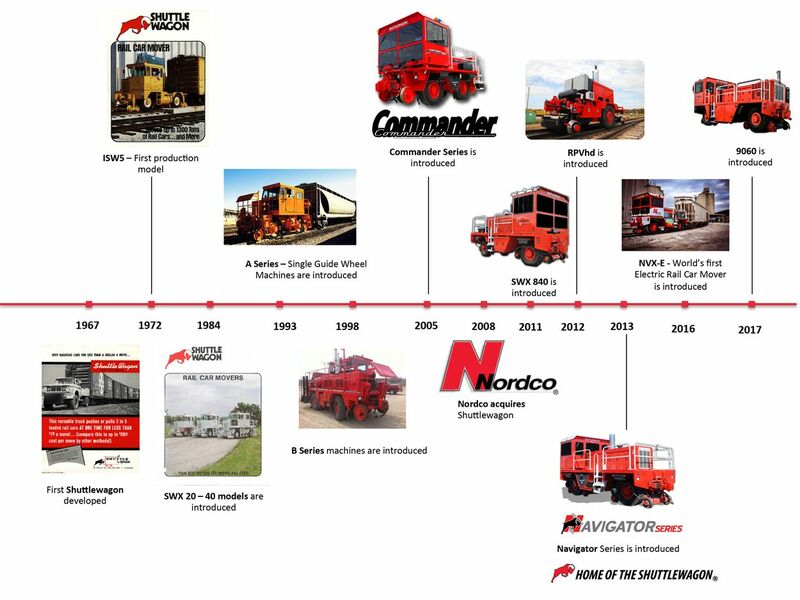 No other manufacturer of Mobile Railcar Movers has done more to develop the category than has Nordco by expanding the range of capability across the Shuttlewagon product line. 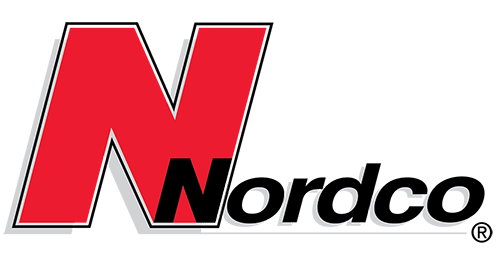 While another boasts of being first and selling the most, Nordco has brought innovation to the industry unlike no other. What started in 1967 as a Dodge Power Wagon utilizing a reinforced bed with a coupler adapted to the rear, five years later became an engineered production model serving as a dual mode railcar mover and trailer spotter. The first major design change took place in 1983, followed by several iterations; A and B-Series machines, before the next major change in 2005 when Shuttlewagon was first to incorporate Can-bus electronics into the C-Series Shuttlewagons. Since then the Shuttlewagon Mobile Railcar Mover has advanced considerably. In 2011 Nordco introduced the Shuttlewagon SWX840, boasting 60,000lbs of Tractive Effort. The success of the SWX840 paved the way for the Navigator Series in 2013. Many of the design elements were adopted across the top half of the product line, representing single couple tractive effort capacity from 38,000lbs to 60,000lbs. Notably, US and Canadian patents were awarded for Shuttlewagon’s Independently Pivoting Rail and Drive Wheel Assembly. 2016 saw a whole new type of Shuttlewagon, North America’s first All-Electric mobile railcar mover, followed in 2017 by the NVX9060 the largest, highest capacity mobile railcar mover in the world; an 85,000lb tractive effort producing, 60 railcar pulling, 800hp, hybrid drive BEAST.